Rhythmically the album touches on dubstep, breakbeat, IDM, hip hop and d'n'b but what makes it special is Sean's strength as a composer and his use of unusual tunings. The result is completely cliché-free. 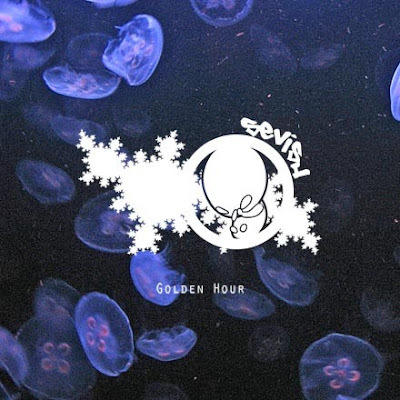 Golden Hour is 60 minutes of real creativity and original tunes. 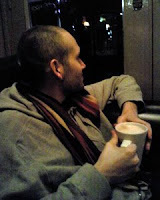 Sean explains on his blog: "I've had a brainstorm and changed my musical ways! My style is the same Sevish you know and love, but the tunings, the tonality, the harmonies are off the charts! I booted Western musical tradition up the arse and got me some microtonal sounds instead." Personally i think the microtonal or Xenharmonic thing is one of the new frontiers for experrymental musicians. If you think i'm nuts just listen to Golden Hour. Sevish will wash out your ears and give you some completely new musical thrills.